ISO 9001 is an international standard related to Quality Management, applicable to any organization from all types of business sectors and activities. It provides guidance and tools for organizations that want to ensure that their products and services consistently meet customer’s requirements, and the overall performance is consistently improved. 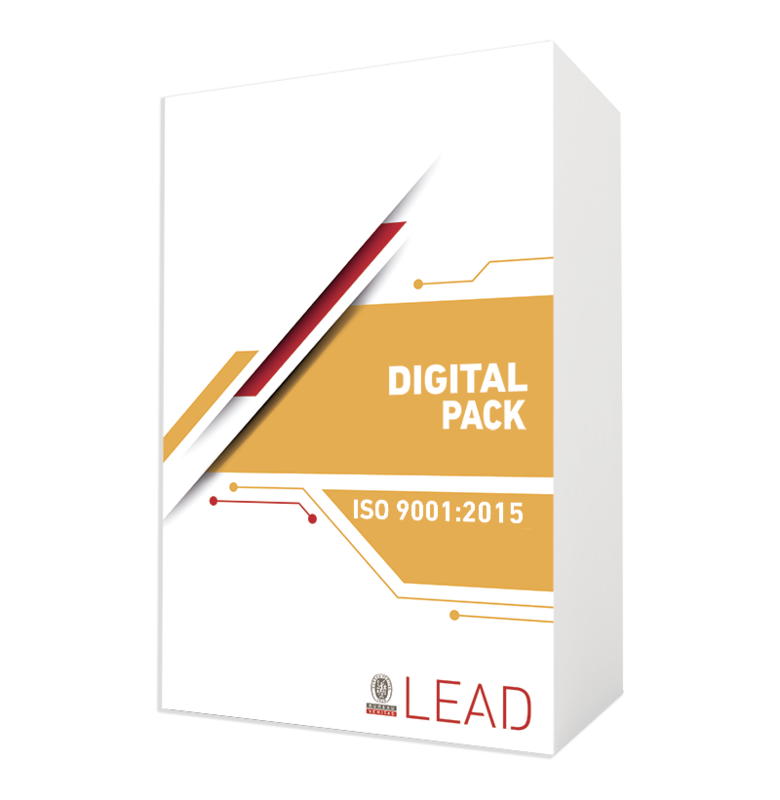 ISO 9001 is an internationally recognized Quality Management System standard published by ISO (International Organization for Standardization). 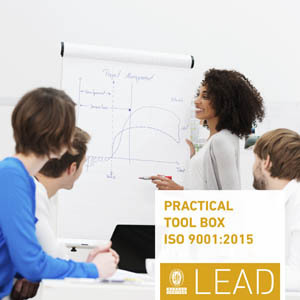 A Quality Management System, as described in the current ISO 9001 Standard, helps an organization to implement streamlined processes and improve operational efficiency. It is based on the following Quality Management principles. The primary focus of quality management is to meet customer requirements and to strive to exceed customer expectations. Sustained success is achieved when an organization attracts and retains the confidence of customers and other interested parties. Every aspect of customer interaction provides an opportunity to create more value for the customer. Understanding the current and future needs of customers and other interested parties contribute to the sustained success of the organization. Leaders at all levels establish unity of purpose and direction and create conditions in which people are engaged in achieving the organization’s quality objectives. Creation of unity of purpose and direction and engagement of people enable an organization to align its strategies, policies, processes, and resources to achieve its objectives. Competent, empowered and engaged people at all levels throughout the organization are essential to enhance its capability to create and deliver value. To manage an organization effectively and efficiently, it is important to involve all people at all levels and to respect them as individuals. Recognition, empowerment, and enhancement of competence facilitate the engagement of people in achieving the organization’s quality objectives. Consistent and predictable results are achieved more effectively and efficiently when activities are understood and managed as interrelated processes that function as a coherent system. The quality management system consists of interrelated processes. 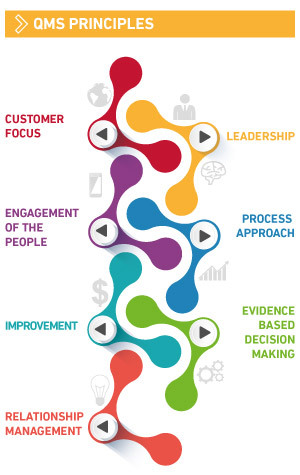 Understanding how results are produced by this system enables an organization to optimize the system and its performance. Successful organizations have an ongoing focus on improvement. Improvement is essential for an organization to maintain current levels of performance, to react to changes in its internal and external conditions and to create new opportunities. Decisions based on the analysis and evaluation of data and information are more likely to produce desired results. Decision making can be a complex process, and it always involves some uncertainty. It often involves multiple types and sources of inputs, as well as their interpretation, which can be subjective. It is important to understand cause-and-effect relationships and potential unintended consequences. Facts, evidence and data analysis lead to greater objectivity and confidence in decision making. For sustained success, an organization manages its relationships with interested parties, such as suppliers. Interested parties influence the performance of an organization. Sustained success is more likely to be achieved when the organization manages relationships with all of its interested parties to optimize their impact on its performance. Relationship management with its supplier and partner networks is of particular importance. 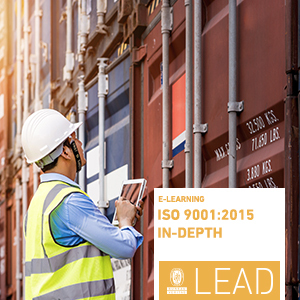 A Quality Management System, as described in the ISO 9001 standard, helps you implement streamlined processes and improve operational efficiency. Make sure you're committed to making the right decisions for your organization.